Can we all agree that dealing with a power of attorney in North Carolina has long been, at best, a frustrating experience? Well, help is on the way! On July 20, 2017, Governor Cooper signed Senate Bill 569, "An Act to Adopt the Uniform Power of Attorney Act in this State," into law as Session Law 2017-153. It will take effect on January 1, 2018, and if you haven't already done so, you need to read it if you practice real estate law or are called upon to consider powers of attorney! At the 10,000 foot level, the new law repeals or amends many of the existing statutes dealing with powers of attorney and adopts the Uniform Power of Attorney Act as drafted by the National Conference of Commissioners on Uniform State Laws, albeit with a multitude of tweaks and modifications tailored specifically to our needs in North Carolina. The effort to get the legislation introduced and passed was admirably undertaken by the Estate Planning and Fiduciary Law Section of the North Carolina Bar Association, which was very careful in its drafting efforts to invite comments, suggestions, and input from a wide variety of interested groups, including the North Carolina Bankers Association, clerks of court, registers of deeds, advocates for the elderly, the North Carolina Department of Justice, and other sections of the North Carolina Bar Association. The "Act" refers to the North Carolina Uniform Power of Attorney Act, codified as Chapter 32C of the North Carolina General Statutes. A "POA" is a power of attorney—that is, a document signed by the principal that appoints and empowers the attorney-in-fact. The "principal" is the individual who grants authority to an attorney-in-fact in a POA. The "agent" is the attorney-in-fact named in a POA and authorized by the POA to act on behalf of the principal. "Agent" is the term used throughout the Act in lieu of "attorney-in-fact." The "existing law" refers to statutes currently in effect regarding powers of attorney, many of which are amended or repealed and replaced by the Act. As happens with many complex pieces of legislation, changes made to a bill during the legislative process can result in minor inconsistencies or incorrect cross-references in the bill as finally enacted. That happened here. As a result, minor technical corrections to the Act will likely be forthcoming, probably during next year's legislative session. No effort will be made here to provide a detailed analysis of the new law, delve into the rights, duties, and obligations of an agent named in a POA, or identify needed technical corrections. 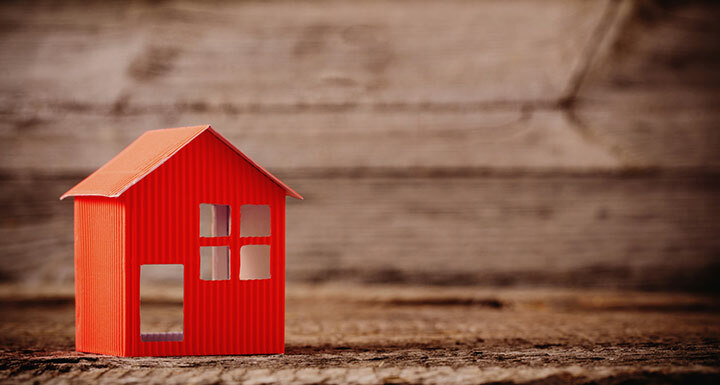 Instead, after a brief overview of the Act, this article focuses on some critical things that you as a real estate practitioner need to know about the Act and its interface with existing law. As a practical matter, existing law provides little more than a template for a North Carolina short form POA, rigid rules regarding durable POAs and an agent's authority to make gifts from the principal's estate, and limited guidance for third parties dealing with an agent. Article 1 contains definitions and general provisions covering the scope of the Act, when a POA is considered durable, the requirements for executing a POA, how the law that governs the meaning and effect of a POA is determined, the relationship between an agent and a court-appointed fiduciary, when a POA becomes effective, how a POA may be terminated, rules relating to the agent, guidance for third parties dealing with agents, and the relationship of the Act to other laws. Article 2 sets forth detailed descriptions of an agent's authority relating to specific subjects such as "real property," "tangible personal property," and "banks and other financial institutions." In addition, Article 2 addresses concerns that an agent's authority might be used to dissipate the principal's property or alter the principal's estate plan by listing specific categories of authority that cannot be implied from a grant of general authority—they can only be granted by express language in a POA. Article 3 offers three statutory forms: a statutory form POA, an agent's certification, and a limited POA for real property transactions. Article 4 clarifies the relationship of the Act to other law and pre-existing powers of attorney. 1. Effective January 1, 2018, the existing law is (mostly) out and the Act is (mostly) in. While the transition from old to new is fairly smooth, it is not entirely seamless. Residuals of the existing law will continue in effect even after being repealed and replaced. Chapter 32A of the North Carolina General Statutes is the existing law that governs POAs. Beginning January 1, 2018, only Article 3 (Health Care Powers of Attorney) and Article 4 (Consent to Health Care for Minor) will remain in effect—the rest of Chapter 32A is repealed and replaced by the Act. Or so it seems. The Act applies to a POA created before, on, or after January 1, 2018 unless (i) the POA contains a clear indication of a contrary intent, or (ii) the application of a particular provision of the Act would substantially impair the rights of a party. A rule of construction or presumption provided by the Act applies to POAs executed before January 1, 2018 unless (i) the POA contains a clear indication of a contrary intent, or (ii) the application of the rule of construction or presumption would substantially impair the rights of a party created under North Carolina law in effect prior to January 1, 2018, in which case the Act's rule of construction or presumption does not apply and the superseded rule of construction or presumption applies. In short, the Act (including the presumption of durability discussed below) applies to POAs signed before January 1, 2018. So far, so good. But there is one glaring exception to this: If you are dealing with a Statutory Short Form POA signed before January 1, 2018 under the authority of existing § 32A-1, then new § 32C-4-403(d) states that the authority of the agent must be determined by reference to the powers described in existing § 32A-2—not the much more broadly defined powers contained in Article 2 of the Act. As a practical matter, this means that when you evaluate the authority of an agent under a Statutory Short Form POA signed before January 1, 2018, § 32A-1 is still alive and well, and you must determine the agent's authority under existing § 32A-2, not Chapter 32C. 2. The rules regarding durability have been greatly refined and turned topsy-turvy. The Act redefines incapacity and changes the rules regarding the durability of a POA and the requirements for registering a POA. An agent cannot act on behalf of a principal after the principal becomes "incapacitated" or "mentally incompetent" unless the POA is a "durable" POA. The terms "incapacitated" and "mentally incompetent" are not defined, and, with one exception, there is no clear mechanism to determine whether a principal has become incapacitated or mentally incompetent. The exception relates to a POA that becomes effective only when the principal becomes incapacitated or mentally incompetent (i.e., it is a "springing" POA triggered by the principal's subsequent incapacity or mental incompetence). In that case, existing § 32A-8 provides that, unless a third person dealing with an agent has actual knowledge to the contrary, the third person can rely on an affidavit executed by the agent setting forth that such condition exists as conclusive proof that the principal is incapacitated or mentally incompetent. A POA is not a "durable" POA unless it says it is, either by indicating it has been signed pursuant to Article 2 of Chapter 32A, by including the phrase "This power of attorney shall not be affected by my subsequent incapacity or mental incompetence," or "This power of attorney shall become effective after I become incapacitated or mentally incompetent," or by including similar words showing the principal's intent that the authority conferred is exercisable notwithstanding the principal's subsequent incapacity or mental incompetence. A durable POA can be registered in the register of deeds office before or after the principal becomes incapacitated or mentally incompetent. However, a durable POA that has not been registered ceases to be valid when the principal becomes incapacitated or mentally incompetent unless (and until) it is duly registered in the appropriate register of deeds office. Once a durable POA has been duly registered in the appropriate register of deeds office, then all acts performed thereafter by the agent pursuant to the durable POA during any period of incapacity or mental incompetence of the principal have the same effect as, and are fully binding to the same extent as, would be the case were the principal not incapacitated or mentally incompetent. As long as the principal is fully competent to act on the principal's own behalf (i.e., the principal is neither incapacitated nor mentally incompetent), a durable POA does not have to be registered. If a durable POA is duly registered in the appropriate register of deeds office before the principal becomes incapacitated or mentally incompetent, the agent can continue to act without interruption after the principal becomes incapacitated or mentally incompetent. If the durable POA has not been duly registered in the appropriate register of deeds office before the principal becomes incapacitated or mentally incompetent, the agent cannot act on behalf of the principal after the principal becomes incapacitated or mentally incompetent unless and until the POA is duly registered in the appropriate register of deeds office. Once the POA is duly registered in the appropriate register of deeds office, the agent can resume acting on behalf of the principal. Stated more simply, the authority of the agent to act is automatically suspended when the principal becomes incapacitated or mentally incompetent, but is restored from the date of registration if the durable POA is subsequently properly registered. However, actions taken by the agent during the period of suspension are not validated by the subsequent registration of the POA. An impairment in the ability to receive and evaluate information or make or communicate decisions even with the use of technological assistance. Is missing, detained, including incarcerated in a penal system, or outside the United States and unable to return. According to § 32C-1-104, a POA is a durable POA unless it "expressly provides that it is terminated by the incapacity of the principal." This is the complete opposite of existing law, which says a POA is not a "durable" POA unless it says it is. However, as is the case under existing law, it is important to remember that if a POA is NOT a durable POA, the agent's authority to act on the principal's behalf automatically terminates when the principal becomes incapacitated. The Act does not require a POA (whether or not it is durable) to be registered (i.e., recorded) in the office of the register of deeds. However, it is important to remember that existing G.S. 47-28 continues to require a POA involved in a real estate transaction to be registered (i.e., recorded) in the office of the register of deeds, regardless of whether or not it is durable. If the POA is what is commonly known as a “springing” or contingent POA–that is, one that becomes effective at a future date or upon the occurrence of a future event or contingency such as the principal's incapacity—new § 32C-1-109(b) permits the principal to authorize the agent or someone else to provide written verification that the event or contingency has occurred. Incapacity based on the principal’s impairment may be verified by two physicians or licensed psychologists after they have personally examined the principal. Incapacity based on the principal’s unavailability may be verified by an attorney at law, a judge, or an appropriate governmental official (such as an officer acting under the authority of the U.S. Department of State, a military officer, or a sworn federal or state law enforcement officer). An agent's authority to act on behalf of an incapacitated principal under a springing durable POA does not automatically terminate when the principal regains capacity – the POA and the agent's authority continue in effect until formally terminated. 3. The Act covers more than North Carolina POAs. A power to the extent it is coupled with an interest, including a power given to or for the benefit of a creditor in connection with a credit transaction. A "power coupled with an interest" frequently appears in loan agreements, security instruments, and other commercial contracts—these powers are not governed by the Act. A power to make health care decisions. An effective health care POA must still comply with Article 3 of Chapter 32A, and an effective consent to provide health care for a minor must still comply with Article 4 of Chapter 32A. A proxy or other delegation to exercise voting rights or management rights with respect to an entity. To give a simple example of this exception, assume the president of a corporation signs a general POA authorizing his son to act as the president's agent. While the president can give broad authority to the son to act on behalf of the president as an individual, the president cannot give an agent authority to act on president's behalf as president of the company—only the company can confer that authority. Thus, the Act does not apply to the extent a POA purports to delegate management rights with respect to an entity. A power created on a form prescribed by a government or governmental subdivision, agency, or instrumentality for a governmental purpose. 4. The Act provides clarity regarding the execution and validity of a POA. A POA signed in North Carolina before January 1, 2018 is valid if its execution complied with the North Carolina law in effect at the time the POA was signed. A POA signed in North Carolina on or after January 1, 2018 is valid if it is (i) signed by the principal or in the principal's conscious presence by another individual directed by the principal to sign the principal's name on the POA, and (ii) acknowledged (i.e., notarized). (3) The notary notarizes the signature by performing an acknowledgment, oath or affirmation, jurat, or verification or proof. (5) The notary notarizes the signature through an acknowledgment, oath or affirmation, jurat, or verification or proof. If the POA will be signed by the principal by using a "mark" or by someone else on behalf of the principal at the principal's direction, you need to pay careful attention to the requirements in G.S. 10B-20. If you don't, you run the risk that the POA will be invalid. A POA signed outside North Carolina is valid in North Carolina if, when the POA was executed, the execution complied with either (i) the law of the jurisdiction that determines the "meaning and effect" of the POA (as discussed below), or, (ii) the federal requirements for a military POA. Two final comments regarding these issues are significant. First, a signature on a POA is presumed to be genuine if the principal acknowledges the signature before a notary public or other individual authorized by law to take acknowledgements. Second, unless there is a statute that provides otherwise, a photocopy or electronically transmitted copy of an original POA has the same effect as the original. 5. The Act clarifies which law controls. The phrase, “the law of the jurisdiction indicated in the power of attorney,” is intentionally broad, and includes any statement or reference in a power of attorney that indicates the principal’s choice of law. Examples of an indication of jurisdiction include a reference to the name of the jurisdiction in the title or body of the power of attorney, citation to the jurisdiction’s power of attorney statute, or an explicit statement that the power of attorney is created or executed under the laws of a particular jurisdiction. A POA identified as a "North Carolina Statutory Short Form Power of Attorney" is signed by the principal and acknowledged before a notary public. It doesn't matter when or where the POA was signed and acknowledged. The meaning and effect of the POA will be determined by North Carolina law. A POA indicates that it is governed by Kansas law. It doesn't matter when or where the POA was signed and acknowledged. The meaning and effect of the POA will be determined by Kansas law. A POA makes no mention of any state and is absolutely silent as to what law controls. The meaning and effect of the POA will be determined by the law of the state in which the POA was signed and acknowledged. 6. The Act's rules governing termination of a POA are more comprehensive than in the existing law. The revocation of a POA under existing law is governed by § 32A-13. The corresponding provision in the Act is § 32C-1-110. Unlike under existing law, the Act draws a clear distinction between the termination of a POA and termination of the agent's authority under the POA. If the POA is not durable, the principal becomes incapacitated. The principal revokes the POA. The POA provides that it terminates. The purpose of the POA is accomplished. The principal revokes the agent's authority or the agent dies, becomes incapacitated, or resigns, and the POA does not provide for another agent to act under the POA. A guardian of the principal's estate or general guardian terminates the POA. The principal revokes the authority in writing. The agent dies, becomes incapacitated, resigns, or is removed. The court enters a decree of divorce between the principal and the agent, unless the POA provides otherwise. A guardian of the principal's estate or general guardian terminates the agent's authority. A POA does not become "stale"—unless a POA provides for termination upon a certain date or after the passage of a period of time, lapse of time since execution is irrelevant to the POA's validity. This provision validates old POAs that have not been terminated. A new POA doesn't automatically terminate an old POA. To effect a revocation, a subsequently executed POA must expressly revoke a previously executed POA or state that all other POAs are revoked. The requirement for express revocation prevents inadvertent revocation when the principal intends for one agent to have limited authority that overlaps with broader authority held by another agent. A termination event is not effective as to the agent or any person dealing with the agent who, without actual knowledge of the termination event, acts in good faith under the POA. If the POA is a non-durable POA, the incapacity of the principal is not effective as to the agent or any person dealing with the agent who, without actual knowledge of principal's incapacity, acts in good faith under the POA. In either case, an act so performed, unless otherwise invalid or unenforceable, binds the principal and the principal's successors in interest. If the POA has been registered in an office of the register of deeds, the principal must register an "instrument of revocation" in that office executed and acknowledged by the principal while the principal is not incapacitated, together with proof of service on the agent in the manner prescribed for service under Rule 5 of the North Carolina Rules of Civil Procedure. A subsequent written revocatory document executed and acknowledged by the principal while the principal is not incapacitated. Being burnt, torn, canceled, obliterated, or destroyed, with the intent and for the purpose of revoking it, by the principal or by another person in the principal's presence and at the principal's direction, while the principal is not incapacitated. 7. Section 32C-1-111 of the Act addresses coagents and successor agents. A principal may (i) designate two or more persons in a single POA to act as coagents, (ii) designate one or more successor agents to act if an agent resigns, dies, becomes incapacitated, is for some reason not qualified to act, or declines to serve, and/or (iii) grant authority to designate one or more successor agents to an agent or other person designated by name, office or functions. Unless the POA expressly requires coagents to act jointly, each coagent may exercise the coagents' authority independently without the knowledge, consent, or joinder of any other coagent or coagents. Unless the POA provides otherwise, if any one or more coagents resigns, dies, becomes incapacitated, or otherwise fails to act, the remaining agent or coagents may continue to act. Unless the POA provides otherwise, a successor agent has the same authority as that granted to the original agent. However, a successor agent may not act until all predecessor agents have resigned, died, become incapacitated, are no longer qualified to serve, or have declined to serve. 8. What are the "safe harbors" you can rely on when presented with a POA, and what can you request from the agent? Article 5 of existing Chapter 32A (§ 32A-40 through § 32A-43) addresses the frequently encountered problem of persons refusing to accept a POA. These issues are addressed in considerable detail in § 32C-1-119 and § 32C-1-120 of the Act. If you in good faith accept an acknowledged (i.e., notarized) POA without actual knowledge that the principal's signature is not genuine, you may rely upon the presumption that the principal's signature is genuine. This provision restates the safe harbor that appears in § 32C-1-105 of the Act. If you in good faith accept a POA without actual knowledge that the POA is void, invalid, or terminated, that the purported agent's authority is void, invalid, or terminated, or that the agent is exceeding or improperly exercising the agent's authority, (i) you may rely upon the POA as being valid and still in effect, the agent's authority as being genuine, valid, and still in effect, and the agent as not having exceeded and having properly exercised the agent's authority; and (ii) you will not be responsible for any breach of fiduciary duty by the agent, including any breach of loyalty, any act of self-dealing, or any misapplication of money or other property paid or transferred as directed by the agent. This safe harbor applies without regard to whether or not you demand or receive a certification from the agent (as discussed below). When you are asked to accept a POA, existing § 32A-40(b) permits you to require an affidavit from the agent stating that the agent has no actual knowledge of the revocation of the POA or facts that would cause the agent to question the authenticity or validity of the POA—in short, that the POA is valid and in effect according to its terms. You are entitled to rely on that affidavit as long as you are acting in good faith and have no actual knowledge to the contrary. A certification executed by the agent to the effect that the agent did not have actual knowledge at the time of the POA is presented to you (i) that the POA is void, invalid, or terminated; (ii) that the agent's authority is void, invalid, or terminated; or (iii) of facts that would cause the agent to question the authenticity or validity of the POA. A certification meeting these requirements is sufficient proof to you that (i) the POA is authentic and valid and has not been terminated, (ii) the agent's authority is valid and has not been terminated, and (iii) other factual matters stated in the certification regarding the principal, agent, or POA are true. If the exercise of the POA requires execution and delivery of an instrument that is recordable, you may require that the certification be prepared and executed so as to be recordable—i.e., acknowledged or in the form of an affidavit with an appropriate jurat. Section 32C-3-302 provides a statutory form that, if used, satisfies the requirements for an agent's certification. An English translation of the POA if the POA contains, in whole or in part, language other than English. An opinion of counsel as to any matter of law concerning the POA if you provide in a writing or other record the reason for your request. This provision may be particularly useful when a POA is presented to you that is not a standard North Carolina POA. For example, when presented with a POA that appears to be a Kansas POA, you may request an opinion from a Kansas attorney confirming that (i) the POA was validly executed under Kansas law, (ii) the POA has been properly acknowledged, (iii) the POA is a durable POA, and (iv) after describing or identifying the transaction to be undertaken by the agent on the principal's behalf, the agent has appropriate authority under the POA and Kansas law to effect the transaction without exceeding or improperly exercising the agent’s powers. The principal is responsible for the expense of an English translation or an opinion of counsel requested under § 32C-1-120 unless the request is made more than 7 business days after the POA is presented for acceptance. 9. When may you be liable for refusing to accept a POA? As is currently the case under existing § 32A-41, a person who unreasonably refuses to accept a POA is exposed to potential liability under § 32C-1-120(e) of the Act. Patterned in part after existing § 32A-42, new § 32C-1-120 contains a laundry list of statutory exceptions that permit you to refuse to accept a POA without incurring liability. No later than 7 business days after being presented with an acknowledged POA and being asked to accept it, you must accept the POA, refuse to accept the POA for one of the reasons discussed below, or request a certification, a translation, or an opinion of counsel from the agent (as discussed in #8 above). If you request a certification, a translation, or an opinion of counsel, then within 5 business days after your receipt of the requested items in reasonably satisfactory form, you must either accept the POA or refuse to accept the POA for one of the reasons discussed below. In addition, you are not authorized to require an additional or different form of POA if the POA you are presented reasonably appears to authorize the agent to conduct the business the agent desires to conduct. The POA has not been duly acknowledged. You are not otherwise required to engage in a transaction with the principal in the same circumstances. Engaging in a transaction with the agent or the principal in the same circumstances would be inconsistent with applicable federal law. You have actual knowledge of the termination of the agent's authority or of the POA before exercise of the power. Your request for a certification, a translation, or an opinion of counsel is refused. You did not receive a certification, translation, or opinion of counsel you requested in reasonably satisfactory form within a reasonable period of time. You believe in good faith that the POA is not valid or that the agent does not have the authority to perform the act requested, whether or not you have requested or have been provided a certification, a translation, or an opinion of counsel. You have reasonable cause to question the authenticity or validity of the POA or the appropriateness of its exercise by the agent. The agent or principal has previously breached any agreement with you, whether in an individual or fiduciary capacity. You make, or have actual knowledge that another person has made, a report to the local adult protective services office or law enforcement stating a good faith belief that the principal may be subject to physical or financial abuse, neglect, exploitation, or abandonment by the agent or a person acting for or with the agent. Open an account for a principal at the request of an agent if the principal is not currently a customer of the person asked to accept the POA. Make a loan to the principal at the request of the agent. Permit an agent to conduct business not authorized by the terms of the POA, or otherwise not permitted by applicable statute or regulation. If you are presented with a POA, you will not be "deemed" to have unreasonably refused to accept the POA solely on the basis of your failure to accept the POA within seven business days or, if you have promptly requested a certification, a translation, or an opinion of counsel, prior to your receipt of requested items in reasonably acceptable form. 10. How does the Act guard against abuse on the part of an agent? At the outset, it is important to remember that an agent appointed under a POA is a fiduciary. According to § 32C-1-114 of the Act, the agent must always act (i) in accordance with the principal's reasonable expectations to the extent actually known by the agent and, otherwise, in the principal's best interest; (ii) in good faith; (iii) loyally for the principal's benefit; (iv) only within the scope of authority granted in the POA; and (v) in a manner so as not to create a conflict of interest that impairs the agent's ability to act impartially in the principal's best interest. In exchange for mandated acceptance of an agent’s authority, the Act does not require persons dealing with an agent to investigate the agent or the agent’s actions. However, safeguards against abuse by the agent are provided by creating what is essentially a two-tier system when granting an agent authority. Section 32C-1-201 of the Act draws a sharp distinction between acts that may be performed by an agent under a "general" grant of authority and acts that require a "specific" grant of authority. Pursuant to § 32C-2-202, a principal may incorporate any or all of the powers listed in § 32C-2-204 through § 32C-2-117 in full into the POA either by a reference to the short descriptive term for the subject used in the Act or to the section number. In addition, § 32C-2-202 permits a principal to modify any authority incorporated by reference in a POA. If a POA grants to an agent authority to do all acts that a principal could do, the agent has the general authority described in § 32C-2-204 through § 32C-2-216 (but not § 32C-2-217, which addresses the agent's authority to make gifts on behalf of the principal—as noted below, the authority to make gifts on behalf of the principal requires specific authority). Make a gift. However, even if the agent is expressly authorized to make a gift, that right is limited by § 32C-2-201(b) and (c) and by § 32C-2-217. Delegate authority granted under the POA. Waive the principal's right to be a beneficiary of a joint and survivor annuity, including a survivor benefit under a retirement plan. Exercise fiduciary powers that the principal has authority to delegate. Renounce or disclaim property, including a power of appointment. Exercise authority over the content of electronic communication, as defined in 18 U.S.C. § 2510(12), sent or received by the principal. Exercise the powers of the principal as settlor of a revocable trust in accordance with G.S. 36C-6-602.1. Exercise the powers of the principal as settlor of an irrevocable trust to consent to the trust's modification or termination in accordance with G.S. 36C-4-411(a). And here's a related, but incredibly important, rule against self-dealing that appears in § 32C-2-201(c): Even if the POA authorizes the agent to do any of the specific actions identified above, unless the POA provides otherwise, the agent may not exercise "general" or "specific" authority under a POA to create in the agent, or in an individual to whom the agent owes a legal obligation of support, any interest in the principal's property, whether by gift, right of survivorship, beneficiary designation, disclaimer, or otherwise. This rule can be very important in real estate transactions. Is the proposed action within the scope of the general authority granted to the agent? Is the proposed action one which requires specific authority? If so, does the POA expressly grant that specific authority? Will the proposed action create in the agent, or in an individual to whom the agent owes a legal obligation of support, any interest in the principal's property, whether by gift, right of survivorship, beneficiary designation, disclaimer, or otherwise? If so, does the POA expressly authorize such self-dealing? Even if the proposed action is authorized by the POA, is the proposed action consistent with the agent's fiduciary duty to the principal? 11. So what are the categories of authority listed in Article 2 of the Act? Real estate practitioners will need to become intimately familiar with the authorities listed in § 32C-2-204 (real property), § 32C-2-205 (tangible personal property), and § 32C-2-208 (banks and other financial institutions). 12. The new statutory short form POA will be very useful. The "North Carolina Statutory Short Form Power of Attorney" in § 32C-3-301 of the Act is the updated counterpart to the existing § 32A-1 statutory short form general POA. It contains, in plain language, instructions to the principal and agent. Step-by-step prompts are given for designation of the agent and successor agents and the grant of general and specific authority. In the section of the form addressing general authority, the principal must initial the subjects for which the principal wishes to delegate general authority to the agent. In the section of the form addressing specific authority, certain categories of specific authority are listed, preceded by a warning to the principal about the potential consequences of granting such authority to an agent. The principal is instructed to initial only the specific categories of actions that the principal intends to authorize. As you review the new North Carolina Statutory Short Form Power of Attorney form, keep in mind that the POA is durable, effective immediately, and does not revoke any existing POAs. Also, the section of the form addressing specific authority very intentionally does not cover two trust-related matters: whether the agent can exercise the powers of the principal as settlor of a revocable trust in accordance with G.S. 36-6-602.1 or the powers of the principal as settlor of an irrevocable trust to consent to the trust's modification or termination in accordance with G.S. 36C-4-411(a). The drafters of the legislation properly believed that these trust-related provisions should not be included in a "boiler-plate" statutory form, but rather should be included in a POA only after thoughtful consideration by the trust settlor with the advice of competent counsel. The introductory language in § 32C-3-301 indicates that the new form is a "nonexclusive method to grant a power of attorney" and that a document "substantially" in the form of the one set forth in § 32C-3-301 "may be used to create a statutory form power of attorney that has the meaning and effect prescribed by [Chapter 32C]." This leaves ample wiggle room for the short form POA to be "tweaked," and that is what has been done in the short form POA template that accompanies this article. It is not identical to the statutory short form POA appearing in § 32C-3-301. 13. The "Agent's Certification" should be routinely used in real estate transactions. The second statutory form, the "Agent's Certification as to the Validity of Power of Attorney and Agent's Authority," appears in § 32C-3-302. This form is patterned after the Affidavit of Attorney-in-Fact set forth in existing § 32A-40(d). According to § 32C-1-119(d)(1), if you are asked to accept a POA, you may rely on the accuracy of the statements contained in the Certification without further investigation if you are acting in good faith and have no actual knowledge to the contrary. A copy of the Certification accompanies this article. You should routinely require an Agent's Certification in every real estate transaction. 14. The new "Limited Power of Attorney for Real Property" will prove very useful for real estate attorneys. The third statutory form, "North Carolina Limited Power of Attorney for Real Property," appears in § 32C-3-303. There is no corresponding statutory form under existing law. This new form was the product of close collaboration between the Estate Planning and Fiduciary Law Section of the North Carolina Bar Association, the Real Property Section of the North Carolina Bar Association, and the North Carolina Bankers Association to help resolve a persistent problem: whether the authority granted to the agent in a limited POA presented at or immediately before the closing of a real estate transaction is sufficiently specific to the transaction and sufficiently broad in its scope, particularly when financing is involved. The related question is critical: Should the Agent be permitted to execute transaction-related documents on the principal's behalf? Grants the agent full authority to act on behalf of the principal with respect to certain identified real property, all tangible personal property related to the property, and all financial transactions relating to the property. Incorporates by reference the general authority to act with respect to real property as set forth in § 32C-2-204, tangible personal property as set forth in § 32C-2-205, and banks and other financial institutions as set forth in § 32C-2-208. Specifically states the authority granted to the agent may be exercised by the agent even though the exercise of that authority may benefit the agent or a person to whom the agent owes an obligation of support, thereby resolving the potential problem of self-dealing. Unless an expiration date is specified in the POA, the authority of the agent automatically expires one year from the date of the POA. Actions taken by the agent while the POA remains in effect continue to bind the principal even after the agent's authority expires. There is one small issue that may require your thoughtful attention. The introductory language in the form's Grant of Authority authorizes the agent to act for the principal with respect to "all financial transactions relating to the Property," and the authority granted expressly includes the authority to act with respect to banks and other financial institutions as set forth in § 32C-2-208. That section applies only to dealing with banks and other financial institutions. The unresolved question is this: Is the general language that authorizes the agent to act for the principal with respect to "all financial transactions relating to the Property" sufficient to cover private financing that does not involve a bank or other financial institution? If private financing is anticipated, you should consider adding appropriate language to the limited POA. 15. On the subject of self-dealing, here's another thing you need to think about. When exercising a power under the power of attorney, an act by an agent that is in good faith for the best interest of the principal is not voidable and the agent is not liable solely because the agent also benefits from the act or has an individual or conflicting interest in relation to the property or affairs of the principal. Ma either owns the house or the house is owned by Ma and Pa as tenants by the entirety. Can Pa use the POA to sign Ma's name to a deed of trust encumbering Ma's house to secure his debt to the bank? Despite § 32C-1-114(d), this should cause you heartburn, particularly if Ma will not derive any apparent benefit from the loan. However, if the purpose of the loan is to fix up the home or to help pay Ma's nursing homes bill, a strong argument can be made that Pa can execute the deed of trust on Ma's behalf as her agent. That argument becomes even stronger if Ma is a co-borrower on the note. Now let's change the facts a bit. The home is titled in Pa's name, which means that Ma has only an inchoate marital interest in the property. Let's further assume that Ma will not derive any benefit from the proceeds of the loan. Can Pa use the POA to sign Ma's name to a deed of trust encumbering their home when Pa will be the only one signing the promissory note to the bank and will be the only one benefitting from the loan? With respect to any real property owned or claimed to be owned by the principal's spouse and in which the principal's only interest is a marital interest, [the agent may] waive, release, or subordinate the principal's inchoate right pursuant to G.S. 29-30 to claim an elective life estate in the real property, regardless of whether the waiver, release, or subordination will benefit the agent or a person to whom the agent owes an obligation of support. 16. Finally, let's talk about "seal." In years gone by, a deed was not a deed unless it was "executed under seal." While purists may have blanched, others rejoiced when the requirement for a conveyance of real property to be executed under seal was abolished in 1999 with the passage of G.S. 39-6.5. This statute, which is now almost 70 years old, has long harbored risk for real estate practitioners. Consider, for example, a pre-printed deed or deed of trust form that indicates it is being executed under seal and the word "seal" appears after the grantor's name in the signature block. If the deed or deed of trust says it is being executed under seal (even if it is no longer required to be executed under seal), is the signature of the agent on behalf of the principal sufficient if the POA was not executed by the principal under seal? According to G.S. 47-43.1, the authority of the agent signing a deed or deed of trust on behalf of the principal that purports to be under seal is called into question unless the POA was executed by the principal under seal. The Act does not require a POA to be executed under seal, and it is worth noting that the statutory POA forms set forth in § 32C-3-301and § 32C-3-303 of the Act do not indicate that they are under seal. When an instrument purports to be executed by parties acting through another by virtue of a power of attorney, it shall be sufficient if the attorney or agent signs such instrument either in the name of the principal by the attorney or agent or signs as attorney or agent for the principal; and if such instrument purports to be under seal, the seal of the agent shall be sufficient. The elimination of the last sentence of G.S. 47-43.1 will permit an agent to sign an instrument under seal on behalf of the principal beginning January 1, 2018, regardless of whether the POA was signed by the principal under seal. Dealing with POAs will still be difficult and challenging, particularly in real estate transactions. However, once the Act becomes effective on January 1, 2018, many of the frustrations we have endured in recent years will eventually evaporate, provided we take time to become familiar with the Act and begin using the new statutory forms, particularly the new limited POA for real property transactions. Good luck!